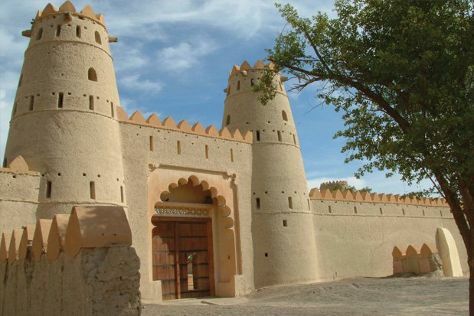 Your cultural itinerary includes sights like Al Jahili Fort and Qasr Al Hosn. Popular historic sites such as St. Mary's Catholic Church and St. Andrews Church are in your itinerary. Take a break from Abu Dhabi with a short trip to Al Ain Palace Museum in Al Ain, about 1:55 hours away. There's lots more to do: kick back and relax at Saadiyat Public Beach, tee off at Abu Dhabi Golf Club, make a trip to Abu Dhabi National Exhibition Center, and stroll through Delma Park. To see maps, ratings, where to stay, and more tourist information, you can read our Abu Dhabi itinerary planner. If you are flying in from United States, the closest major airports are Dubai International Airport, Abu Dhabi International Airport and Al Maktoum International Airport. In January in Abu Dhabi, expect temperatures between 75°F during the day and 60°F at night. Cap off your sightseeing on the 18th (Wed) early enough to travel back home.